Until Soviet Dictator Josef Stalin deported the Meskhetian Turks in the 1940s, most were living in Georgia. He deported them to Uzbekistan, Kazakhstan, and Kirghizstan. They were labeled "enemies of the state" during WWII with very little or no evidence. They experienced discrimination and civil rights abuses in Central Asia. When they were finally permitted to return to their homeland, Georgia did not allow them to resettle there. Today these people live in several countries, with the largest population in Russia. One of the countries they live in is Kazakhstan. 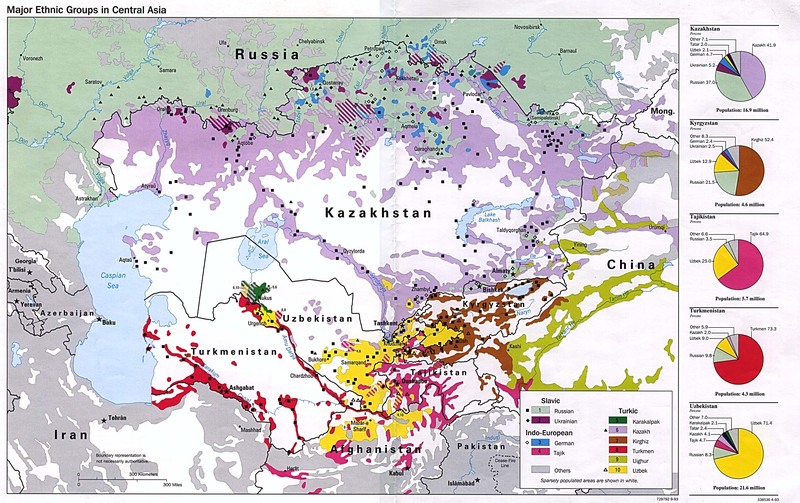 In Kazakhstan, they live in the southern part of the country, especially Almaty, Chimkent, Kyzylorda, and Zhambyl. Since they arrived in Kazakhstan in 1944, the Meskhetian Turks have lived in closely-knit, rural communities. They are largely integrated into Kazakh society. Turkish businessmen are investing in this country, and the Meskhetian Turks are acting as a bridge between Turkish and the Kazakh businessmen. They are Sunni Muslim, but many of their traditions contain a mixture of Muslim, Caucasian, and Russian elements. The Meskhetian Turks need to be accepted and valued as a people. They can find this through a relationship with Jesus Christ if they would turn to Him. * Scripture Prayers for the Turk, Meskhetian in Kazakhstan. * Pray for the Meskhetian Turks in Kazakhstan to listen to the voice of the Lord, heed His call, and follow Him. * Pray for ambassadors of Christ to be thrust out from Russia and Georgia to these Muslims. * Pray for a disciple making movement to emerge among the Meskhetian Turks that will spread to all their communities in Russia and Central Asia.